We were so excited about getting this popular octopus sculpture on the site we haven't even written out the full description. It's simply amazing, and full size! 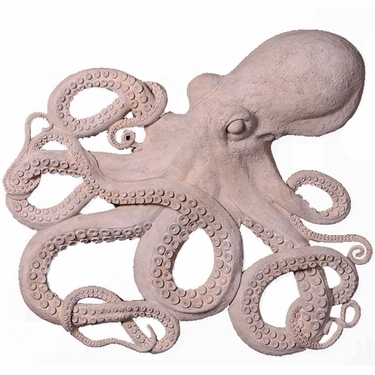 This octopus wall art is made of durable painted fiberglass resin and comes in the simple roman stone finish. If placed outdoors in direct sunlight we suggest using a UV Protectant like SunGuard to help extend the life. Anyone that that enjoys Octopus or Nautical themed items, or looking for a stunning wall display will go crazy over this octopus wall decor!